Even the greatest among us, Jesus Christ, experienced betrayal, mocking, abandonment, loss of loved ones, and physical pain as part of His mortal experience. My hope is to encourage you to apply the principles that lead to healing. I will try to explain clearly three principles that can lead to healing and to knowing that all healing is a gift from Jesus Christ, for, as Isaiah said, “with his stripes we are healed” (Isa. 53:5). I tell you . . . I heard the voice of Jesus saying still to fight on. He promised never to leave me alone. At that moment I experienced the presence of the Divine as I had never experienced Him before. Almost at once my fears began to go. My uncertainty disappeared. I was ready to face anything. Can you see in this example the pathway to healing? Having courage to face a difficult situation and stand for truth, acting in faith by turning to God in prayer, and seeking peace and strength from the Lord through His grace. On [my] first day as a nurse, I assumed cure, care, and healing to be synonymous. I have learned they are not the same. Healing is not cure. Cure is clean, quick, and done—often under anesthesia. . . . Healing, however, is often a lifelong process of recovery and growth in spite of, maybe because of,enduring physical, emotional, or spiritual assault. It requires time. . . . Some people I have had the privilege of working with over the years have had a hard time reconciling the fact that healing requires suffering and yet is a gift from our Savior. How is it that a loving God would allow us to suffer? I have come to realize that my Savior cares more about my growth than He does about my comfort. One evidence of His love is that He does not spare me from the suffering I need for my development and progression, even when I get mad at Him. And, unlike humans, He does not punish me when I am mad nor does He hold a grudge or remind me of it the next time my heart is right and I ask for His help. Let’s shift our focus for a moment to courage. Simply defined, true “courage is not the absence of fear; it is the making of action in spite of fear.”5 For healing to occur, we have to be courageous enough to move forward when we are afraid. I have chosen three examples in which courage is needed for healing to occur. First, we have to be courageous to face the truth regarding what needs to change in our lives. This type of intense introspection requires tremendous honesty with ourselves. As Jesus said, “Ye shall know the truth, and the truth shall make you free” (John 8:32; see also 2 Ne. 28:28), but that is usually only after it hurts us first. Most of what I know about the courage to heal I have learned from clients. I have noticed, among those who do find healing, a real commitment to learning the truth about themselves, which is never easy. A little context may help with this story. I was hired at Syracuse as a 28-year-old recent graduate who was a white male conservative Christian working in a liberal, social activist program. To find healing, we have to develop the courage to avoid the culture that says there is only one acceptable way (e.g., to have a specific size, hair color, or ACT score) to be a good person or even a good Christian. There are many, many ways to be a righteous, positive influence in the world. If enough of us say no to the dominant culture, it will lose its power (see Josh. 1:9). This brings us to the next part of the equation of healing = courage + action + grace. Action is essential to healing. To act instead of merely being acted upon was a key issue in the War in Heaven before we came to this earth (see Rev. 12:7–11). According to the scriptures, “God gave unto man [and woman] that [they] should act for [themselves]” (2 Ne. 2:16), but Satan “sought to destroy the agency of man” (Moses 4:3). When pondering these scriptures, I realized that when I choose to be inactive or place myself in a state of being acted upon, I give Satan greater power in my life. A number of scriptures describe clearly the need to act and not be acted upon (see 2 Ne. 2:26, D&C 43:8–9), but how is action related to healing? I have come to see that action is the point at which belief turns into faith. Having the courage to act in faith opens the door to grace, which is the key to healing. Learning to act in faith is one of the great challenges of mortality. What then are the major roadblocks to acting in faith? I would suggest that procrastination and fear are two of Satan’s greatest tools to keep us in the “acted upon” position. How then can we overcome the tendency to procrastinate or shut down in fear? Let me propose that prayer is the simplest form of action. In your prayers, be sure to speak openly, sincerely, and directly to Him who is your loving Father. Sometimes I fear our prayers are too vague and too passive to bring about the spiritual support we need. 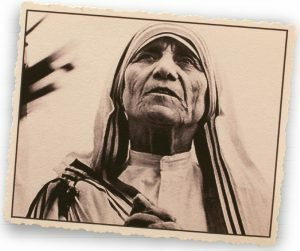 Even Mother Teresa had doubts. . . . Her doubt gives me hope; not that my own doubt will go away but that feelings of doubt are not as powerful as a faithful decision to act. Another great example of acting in the face of understandable fear is Rosa Parks, known for her courageous stand on a bus in Montgomery, Ala., when she refused to give up her seat. Listen to how one biographer described Mrs. Parks’s courage to act: “Parks made an active choice in that instance. . . . In a moment designed to frighten and degrade, she was able to see herself as an agent and claim a space of choice.”12 I love that phrase “see herself as an agent and claim a space of choice.” When we have the courage to act, we open the door to healing. Mrs. Parks’s courageous act opened the door to the civil rights movement, a movement that brought a large measure of needed healing to this country. The scriptures are full of examples of the grace of Jesus Christ as He ministered to people struggling to do and be good but coming up short. The scriptures teach of Him reaching out to His people at their breaking point and providing strength, patience, joy, comfort, assurance, peace, faith, hope, courage, and determination, and even wiping away the tears from their eyes (see Mosiah 24:13–16; Alma 31:31–38, 58:9–12; Rev. 21:4). The grace of Jesus Christ, His bounteous mercy and love, is available to us if we but have the courage to reach out to Him. Sometimes that grace comes directly through the Holy Ghost, and we can feel His clear and specific love for us. Sometimes that grace comes as Christ touches another person’s heart and prompts him or her to share, bless, and uplift another. In other words, grace is often made manifest through the courage and action of a person who reaches out to serve another. Grace is the power by which healing occurs. 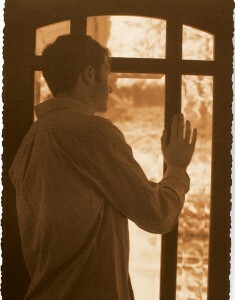 In every aspect of His mortal and postmortal ministry, Christ went about healing all manner of afflictions (see Matt. 9:18–25; 3 Ne. 17:9). His part is to be our atoning Savior, and our part is to be courageous enough to act. He then provides the grace and healing. However, sometimes we may not appreciate the manifestations of His grace because healing blessings do not always come in the form we ask. Sometimes His grace is made manifest by letting us sit and struggle with an issue. Again, our Heavenly Father and Savior are more interested in our growth and progression than in our comfort and convenience. Moments of struggle often bring the greatest growth. Permit me to illustrate this point with an example from the life of my sweetheart and best friend, Sharon. In April 2002, Sharon’s 56-year-old father, Mike, suffered a major heart attack one day at work. As a result of a lack of oxygen to the brain, he was in a coma for a week. Many friends and family members prayed and fasted, he received multiple blessings, and his name was placed on the prayer roll at multiple temples, but, regardless of these efforts, it was his time to die (see D&C 42:43–48). As the months passed, we came to some measure of peace regarding his early and unexpected death. If you have not yet experienced that kind of despair in your prayers, you likely will. For some of you that moment is now. As my friend Ty Mansfield has described in one of the stories profiled on the Church’s website mormonsandgays.org, if we can just stay with God, trust Him, and keep doing the things that bring the Spirit into our lives, then light and healing can enter, even though at the moment things look dark and gloomy. Whether the struggle is same-gender attraction, a crisis of faith, an addiction, or a deep sense of loneliness, just stay with God. Trust Him. There is light and love ahead (see D&C 50:23–25). Again, if we can muster up the courage and take action, Christ provides the grace: courage + action + grace = healing. This article is adapted from a devotional address given Jan. 21, 2014, byJonathan G. Sandberg, a professor in the BYU School of Family Life. 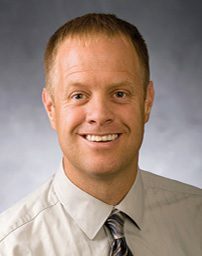 The full text, audio, and video of the address are available at speeches.byu.edu, where there are many additional examples of courage, action, grace, and healing, as well as a list of references for family members, friends, counselors, and bishops. 1. 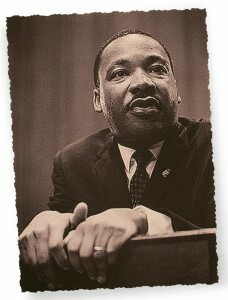 Martin Luther King Jr., The Autobiography of Martin Luther King, Jr., ed. Clayborne Carson (New York: Intellectual Properties Management in association with Warner Books, 2001), pp. 76–78. 2. Elaine S. Marshall, “Learning the Healer’s Art,” BYU devotional address, Oct. 8, 2002; emphasis added. 4. Dallin H. Oaks, “He Heals the Heavy Laden,” Ensign, November 2006, pp. 7–8. 5. M. Scott Peck, The Road Less Traveled: A New Psychology of Love, Traditional Values, and Spiritual Growth (New York: Simon and Schuster, 1978), p. 131; see also Rollo May, The Courage to Create (New York: Norton, 1975), p. 12. 6. William J. Doherty, Soul Searching: Why Psychotherapy Must Promote Moral Responsibility (New York: Basic Books, 1995), p. 71. 7. Mitch Albom, Tuesdays with Morrie: An Old Man, a Young Man, and Life’s Greatest Lesson (New York: Doubleday, 1997), pp. 35–36. 8. Thomas S. Monson, “The Call for Courage,” Ensign, May 2004, pp. 55–56. 9. C. S. Lewis, The Screwtape Letters (New York: Macmillan, 1977), p. 61. 10. Bible Dictionary, s.v. “prayer,” p. 753. 11. Marcus Goodyear, “Mother Teresa, CEO: Doubt Is Not Despair If You Act,” July 8, 2011, patheos.com/blogs/takeandread/2011/07/mother-teresa-ceo-doubt-is-not-despair-if-you-act; emphasis in original. 12. 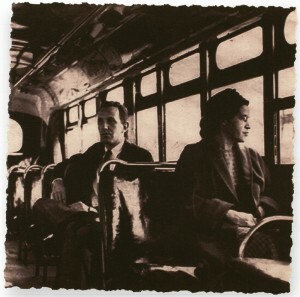 Jeanne Theoharis, The Rebellious Life of Mrs. Rosa Parks (Boston: Beacon Press, 2013), p. 68. 13. Bible Dictionary, s.v. “grace,” p. 697; emphasis added. 14. David A. Bednar, “In the Strength of the Lord,” BYU–Idaho devotional address, Jan. 8, 2002.